Hello friend! Thank you for visiting my blog today. I pinned this card eons ago and I have finally CASE-ed it :) It's such an elegant and beautiful design. I used the big bloom from Verve's "Surely Goodness" and Concord and 9th's "Perfectly Penned". 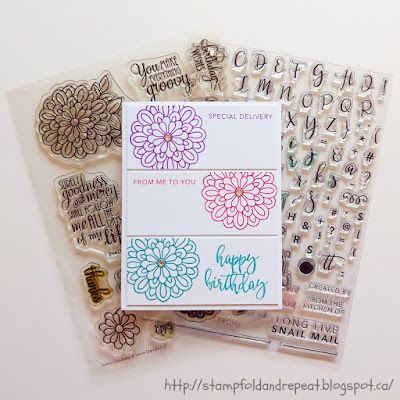 I love how the sentiments intended for the envelope work so well on this card! Easy-peasy and finished with some rhinestones. Thank you as always for stopping by! Lovely card! Thanks for joining us for YNS Challenge 87! Lovely CAS card. 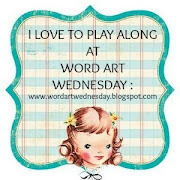 Thank you for joining our previous Challenge and would like to invite you back to our current Challenge at Word Art Wednesday. I would like to leave you with one of the greatest verses in the Scripture from Romans 5:8 which says, "But God demonstrates his own love for us in this: While we were still sinners, Christ died for us." Have a wonderful day!